D.L. 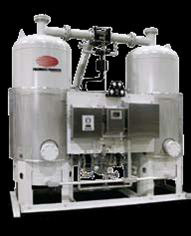 Thurrott Air is the Northeast's leading expert on compressed air drying and purification systems. Representing the world's largest manufacturers for over 30 years, we have gained a reputation for quality products and unsurpassed technical services. Many of the America's best known process industries have come to rely on D.L. Thurrott Air to provide solutions for their compressed air requirements. Not only is Atlas Copco, by far, the world's largest manufacturer of air compressors, they are also the largest manufacturer of refrigerated air dryers. D.L. Thurrott Air is a full service, stocking distributor for Atlas Copco covering Maine, NH and Vermont. Atlas Copco's Quality Air division covers a complete line of air drying and purification equipment.